3000 gauss Magnets in each link, bracelets are made from 316L Surgical Stainless Steel nickel safe great for sensitive skin. 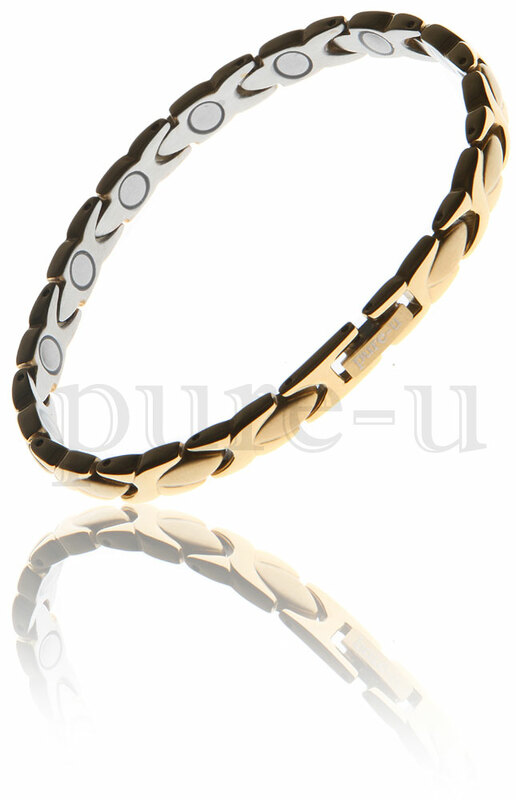 Fold-over Safety Clasps- Neodymium Magnets - North Pole Facing Body - Epoxy Sealed - No Discoloration On Your Wrist. When measuring your wrist please allow a little movement we will size your bracelet to the nearest link size never less than the measurement you give us if you have a specific size not listed please specific us after placing your order . Remember sizing is free only if carried out before dispatch.